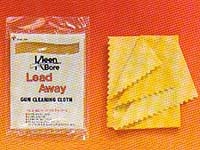 A 100 square inch cloth of top quality cotton flannel impregnated with silicone to restore luster, remove handling marks and provide rust protection. 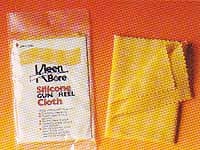 Ideal for stainless steel firearms, this chemically treated, over 100 square inch cloth removes tough lead, burn rings and carbon build-up. Caution: excessive rubbing may remove bluing. These deluxe presentation kits represent the ultimate in gun care and cleaning equipment. They are simply beautiful. Their rich presentation cases are crafted from select hardwoods and hand-finished to a warm, smooth luster. Each kit is appointed with a deluxe cleaning rod and the finest in cleaning materials and accessories. Designed to make the most discrimination shooter proud, they are idea for holidays, birthdays or any other special day for gift giving. Triple action Fomula 3 has solvents for effective cleaning, a light viscosity petroleum oil to lubricate and a water displacing action for rust protection. Tried and true, No.10 is a fast, efficient solvent that quickly penetrates and lifts lead, powder residue and metal foulings for quick, easy cleaning.